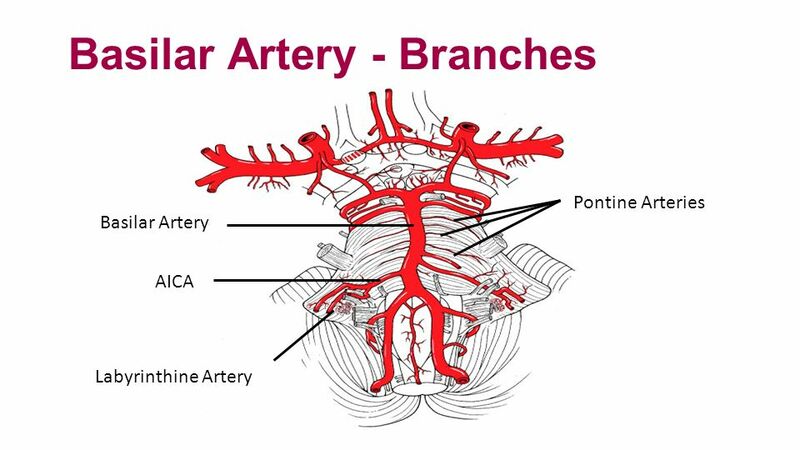 The basilar artery is formed by the fusion of the vertebral arteries commencing at lower pons. 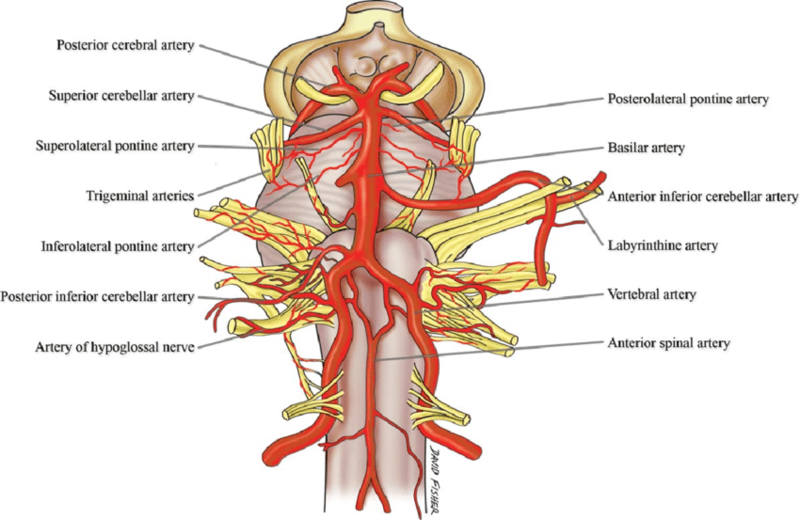 The artery supplies the midbrain, the thalamus, and the medial aspect of the temporal and the occipital lobes. 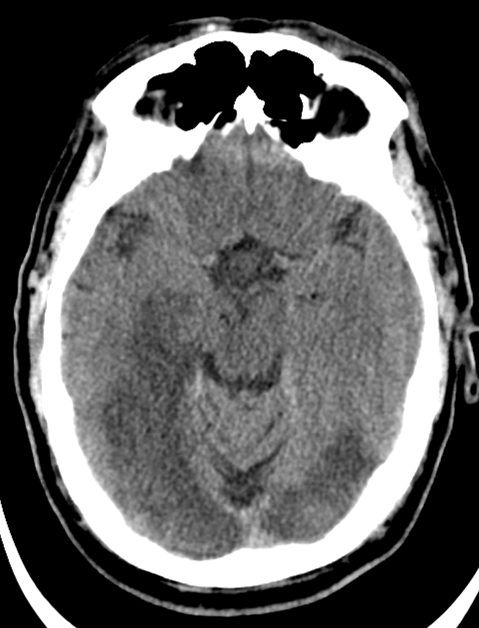 Occlusion of the basilar may be due to cardioembolism, artery to artery embolism or thrombus in situ from localised disease. 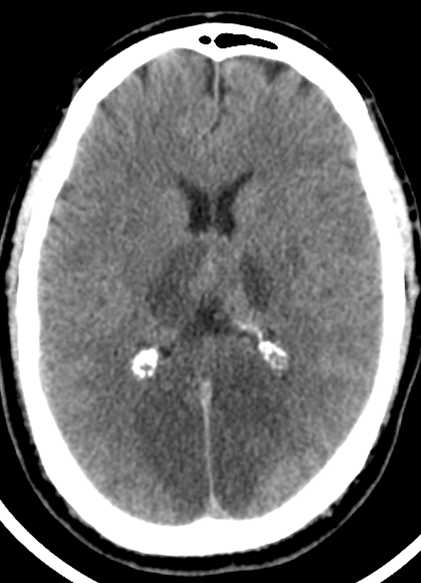 Often the occlusion can be staggered with a slow accumulation of clot and then total catastrophic obstruction. 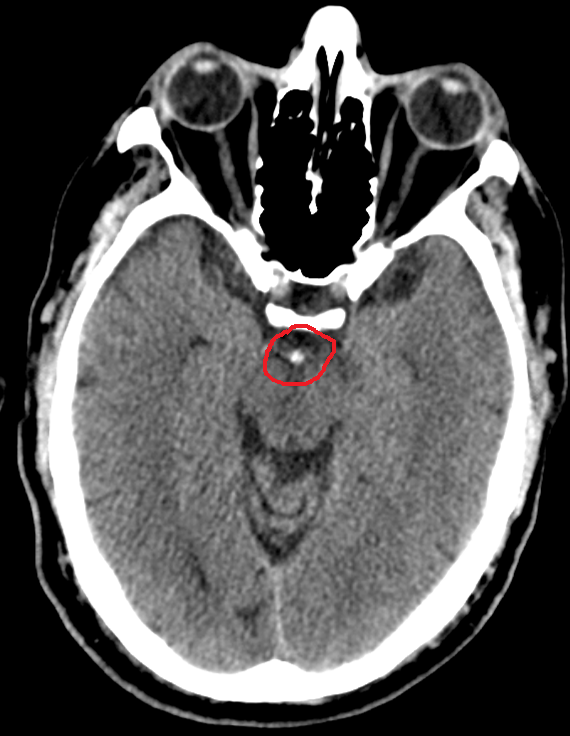 CTA: More useful and if basilar occluded then is needed for thrombectomy and may show causes e.g. vertebral dissection. Successful recanalization appears to be the single most important predictor of a good outcome. 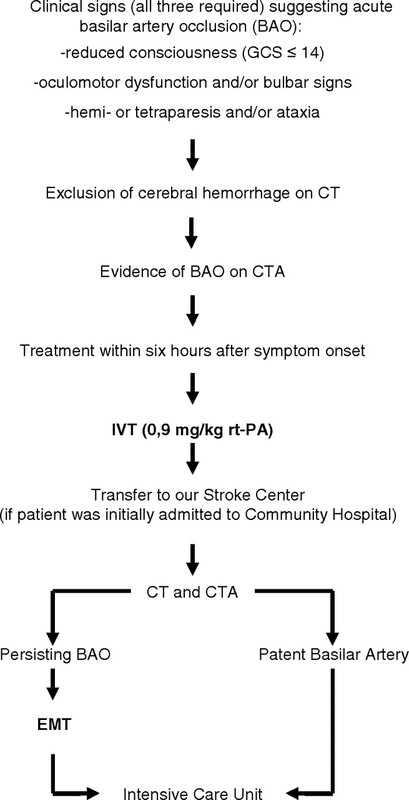 The presence of bilateral PCOMs on pretreatment CTA appears to be associated with more favorable outcomes in BAO treated with Endovascular therapy. The primary collateral pathway of the posterior circulation from the anterior circulation occurs via the posterior communicating arteries. ABC and resuscitation, May need intubated and ventilated acutely. Often an ITU bed is needed acutely with close management of airway due to bulbar weakness. Discussion immediately with local thrombectomy centre usually following local CTA and then immediate transfer to interventional radiologists. At this stage thrombolysis should be considered for those certainly within the 4.5 hrs window or even out to 6 hours on a case by case assessment. Emergent IV/IA Thrombolysis and Mechanical Thrombectomy is treatment of choice even with thrombectomy up to 12 or even some quote 48 hours especially if there is a small core with a high NIHSS score. NIHSS ≤4 at 24 to 48 hours is highly associated with a favourable outcome at 1 month, whereas an NIHSS≥28 universally portends a poor outcome. Posterior circulation CT angiography collaterals predict outcome of endovascular acute ischemic stroke therapy for basilar artery occlusion. J Neurointerv Surg. 2016 Aug;8(8):783-6.